Zahler's Flax Seed Oil is high in alpha-linolenic acid (ALA), which is converted by the body into other important nutrients like DHA and EPA. The Essential Fatty Acids contained in cardiovascular health and can help maintain a healthy balance of fatty acids. 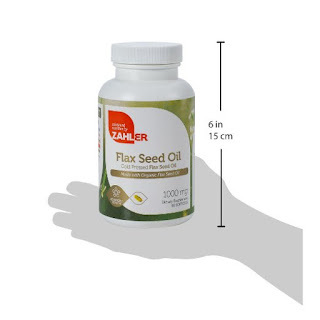 Cold pressed from organic flax seeds, Zahler's Flax Seed Oil keeps all of the natural nutrients intact, resulting in oil that's 100% pure and natural, unmodified by chemical refinements. 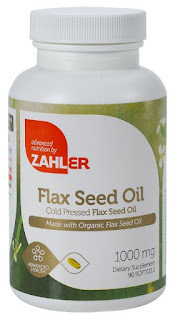 I like adding flax seed in my daily diet, so I was happy to get to try Zahler's Flax Seed Oil Supplement. 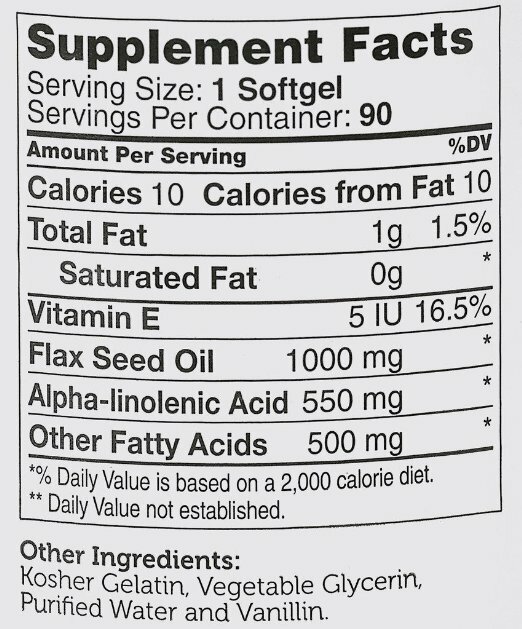 I like that it is a lot easier to take this supplement than to grind up flax seed every day and add it to a smoothie. This flax seed oil supplement can be taken with just a glass of water. I like that it is made in the USA in regulated facilities. I feel good about the quality and I trust it to help me take care of my cardiovascular system. 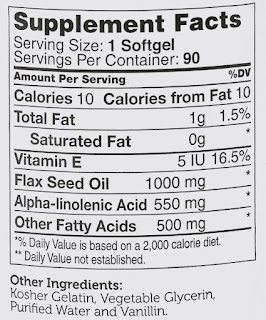 I like that it not only has flax seed but other natural ingredients that help keep the balance of fatty acids. My heart health is important to me, so I will continue to keep this supplement in my daily regime. I recommend it.